Work is the worst. It really is. I’m currently going through that awful transition of being a student to going into my first real-adult job. Don’t get me wrong, I’ve had all sorts of jobs since I was 15, almost all of them were awful (besides that one summer where I worked as an “engineer” and drive around listening to CCR all day). But everyone hates their jobs. If you like yours, well, God bless you. Okay, I don’t hate my job by any means, but I’m currently in a position where following my dream doesn’t pay me enough to live, eat or breath in London. It’s a trap that a lot of people fall into. While many of us don’t need a lot of money to be happy, we need a paycheck large enough to keep the lights on and feed the mouths. Most jobs that allow great enjoyment honestly don’t pay as much as we’d like. I thought moving to London would give me journalism options. Instead it financially crippled me into an office job. Let me tell you, working in an office all day is not my thing. I’ve never worked in one full-time before and it’s an awe-inspiring soap opera every day. Long-gone are my days of factory work and sandwich-making. And I’m a far cry from those jobs. Unfortunately, no job exists where I get to go where I want and eat chocolate cake all day while watching old Soul Train episodes. So reality it is. If you hate your job – no fear, because we definitely aren’t alone. There are plenty of musicians throughout the years who have also felt the struggle of being under the thumb of the man (well, until they started making loads of money off getting drunk and singing every night). These are songs for when singing “It was just another manic Monday” to yourself just isn’t enough to sooth your soul. In this Rundgren classic, the narrator of the song talks about how he’d doesn’t want to do anything but bang the drum all day. I guess that was probably the most literal explanation of a song I could give, but that’s why a classic is a classic. It pretty much speaks for itself. Each day I have a work day that is particularly bad or anxiety-filled, I literally listen to this song and begin to feel an old sense of jubilation again. I love Dolly Parton. Absolutely love her. I hope that one day she spots me on the street and demands I be her best friend because I would gladly agree. This song, which is also the title of the film it comes from, is the only reason you need to adore the crap out of her. 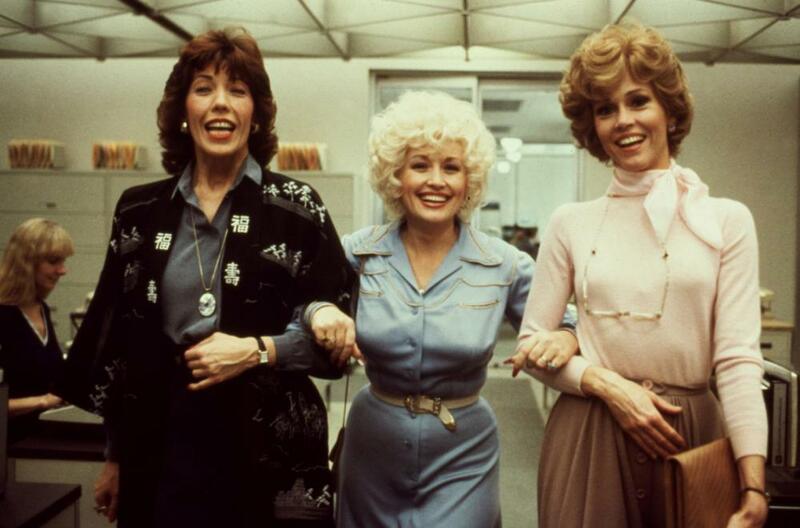 “9 to 5” is a song still so very prevalent today as women still fight for work equality. It might be a thirty-year-old single, but it doesn’t sound the least bit dated to me because of that empowering message. But one of the best parts goes, “They let you dream just to watch ’em shatter / You’re just a step on the boss-man’s ladder / But you got dreams he’ll never take away”. Even though Dolly is literally living everyone’s dream of wearing sparkly jumpsuits and playing a tiny saxophone, she gives a sweet little reminder that you’re never too old or too far gone to get exactly what you want out of life. And there’s no way any job could stop us. This track, penned by Marky Ramone and Garrett “Skinny Bones” Uhlenbrock, completely encapsulates the manic rush and strain of a city commute. It was released in 1992 on the band’s 12 studio album, Mondo Bizarro. The velocity is typical Ramones, and only has to mirror the sort of constant struggle the band had already been dealing with for years. This song. If you live anywhere in America, this song will be playing either Monday morning or on a Friday afternoon on any given radio station. Is the song utterly ridiculous? Yes. Entirely. It’s soaked in 80’s-ness, but the best part of pop music is when they sing exactly what everyone is already thinking: is it the weekend yet? It’s the ultimate in cliche, but not too many songs really say it more plainly than Loverboy does here. The rest of the lyrics outside of the chorus don’t really have much to day. It’s about waiting for an ever-popular love interest showing up and going out at the weekend. Pretty simple. But who really cares about the content of a verse? Not me! I can’t actually find a shortened version of this video. So enjoy a confusingly long version below! For those who just want to get right to the juicy 80’s action, skip right on up to 2:24. Like “Everybody’s Working for the Weekend”, this BTO classic is synonymous with the working week. And there are few songs with a more memorable riff than “Takin’ Care of Business”. But really, this song is essentially about a man rubbing it in the working-man’s face. You have to go to the office every day? Well, I’m in self-employed! I’m a musician! Does it make you green with envy? Well it should. I’m already drooling. This was going to be a top 10 list, then started to grow wildly out of control. I had a conversation with my flatmates last night over a pint where they both reminded me that I’m still only in my first job. You don’t reach where you want to be right away. The message is uplifting and all, but until I finally get to where I want to be, there are the tunes that are just going to have to hold me over until I finally escape those florescent lights.